You just gotta love European engineers! 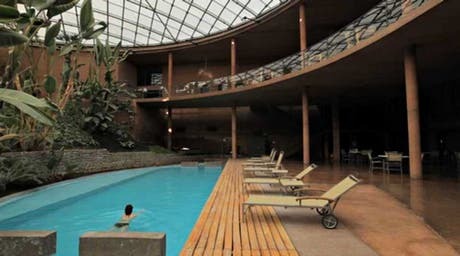 They’re about to blast away the top of a Chilean mountain to create a site for the European Extremely Large Telescope. This telescope will, for the first time, allow astronomers to directly observe planets outside the solar system. The telescope will be called the European Extremely Large Telescope… which is really not the most original name they could have thought of – but that’s not really relevant. The telescope will also allow astronomers to probe the earliest stages of the formation of planetary systems as well as look for water and organic molecules in proto-planetary discs around stars in the making. 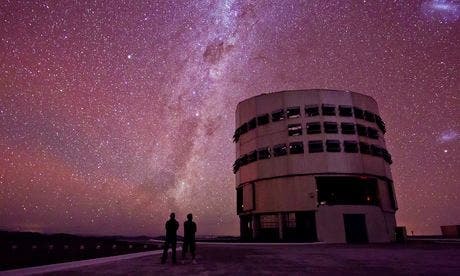 Ok, so building a really large telescope which will provide huge scientific benefits is laudable… but why blow up a mountain top – and in Chile, of all places? The answer is pretty simple – it’s all about water, according to Cambridge University astronomer Professor Gerry Gilmore. There’s a reason for blowing up the mountain top too – it’s not just engineers having fun. The telescope’s “eye” will be 39.3 meters in diameter and will gather 15 times more light than any telescope existing at the moment (according to Wikipedia); there are other good telescopes being built at the moment, but this one is hands down the most promising. An indication of the E-ELT’s potential is provided by ESO astronomer Linda Schmidtobreick. For her, as well as other researchers, gathering the light is extremely important. For example, Schmidtobreick studies the so-called cataclysmic pairs: systems of two stars in which one is pulling vast amounts of gas (hydrogen) from the other. This project can lead to huge thermonuclear eruptions, which are incredibly short (sometimes less than 30 seconds). But this is also important in the search for extraterrestrial life – more light means you can study smaller things. Simone Zaggia, of the Inaf Observatory of Padua is more interested in this aspect. 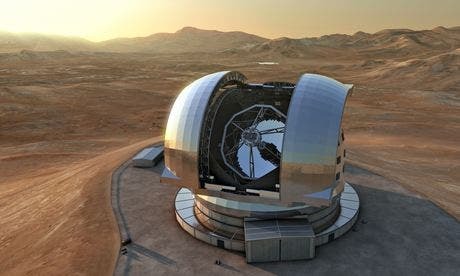 I’m really looking forward to the development, but this over 1 billion euro telescope will only start functioning in the early 2020s. Image and idea source: The Guardian.